Four more Huskers earned their Blackshirts before Tuesday's practice coming just after the Huskers' first win of the season against Minnesota. Nebraska cornerback Lamar Jackson got his blackshirt back. DB Lamar Jackson earned his back after being benched just a couple of weeks ago. He said following the demotion he talked with his coaches and they told him where they wanted to see improvement. "At the end of the day and I realized it wasn't out of spite, it was for my future and to benefit me I had no idea to go out there and working, improving and getting my spot back as well as the Blackshirt," Jackson said. "He's doing things off the field we want him to do, embracing the culture Coach Frost is creating, embracing his job in the defense and his technique," Chinader said. "We felt he's trying to do things the right way and it improving steadily and we wanted to get him in one." Safety Tre Neal along with defensive linemen Carlos and Khalil Davis were also awarded Blackshirts this week. Frost: "There's not another place in the country you could be 0-6 and have that kind of energy"
Defensive end Ben Stille was also awarded a Blackshirt, but turned it down because he did not feel that he practiced well enough last week, Scott Frost confirmed on his weekly Big Ten Teleconference. 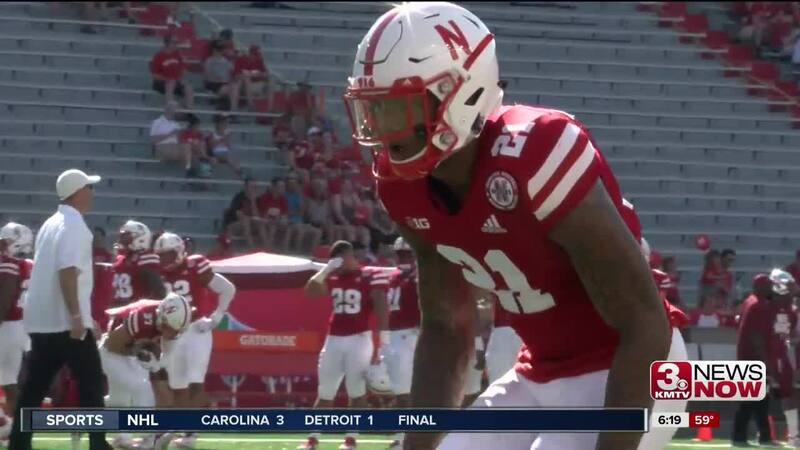 All of the starters on defense now have Blackshirts.